Gii - Oops, I well feel dumb LOL. I thought it was Rob! RobCon - If I could ever afford it, that would be awesome. But don't think it's ever gonna happen Marielle hmm Europe is much more realistic for me...but we need to get Jade to one of them! OMG I just saw this today and it is hi.LAR.ious!! Go watch, immediately. Kris, I will be a happy ducky if you come out here for at least one premiere. Hopefully Eclipse since it's soon and we have no idea when (or if) BD will be released. Ooh, and maybe 100 monkeys will do a show the night before like they did for NM! Personally I still think it makes more sense to have RobCon in CA since we'd actually have the chance to see Rob (and Jackson & Co.) that way. And isn't that what it's all about, ladies? If you're all set on Chicago then that's cool. I'll just have to go attempt to spot him in L.A. myself when premiere time rolls around. Hope, I'm so sorry about your loss. A friend of mine just lost her grandfather last night. It's always difficult losing someone, especially at this time of year. You and your family are in my thoughts and prayers. Marielle & Caryn ~ You could take heaps of photos for your RobCon, and I'll take heapsa photos of my awesome one and then we post em? Or skype. IDK. *cries* Buts I could have Rob all to maself! Apparently this is true. Wooooh! Hey Everyone! I can't believe we're almost to 100. Didn't we get our new thread right before the HB photo shoot came out? I keep watching The Runaways trailer. I'm really excited for that movie. KStew and Dakota just look like they really nailed their performances. I think it's going to be really good. Hope-I'm so, so sorry for you loss. We'll be here for you when you are ready to come back. Jade-$900+? That's alot for airfair. Well, it's still a long way off. And I knew you would like the trailer. 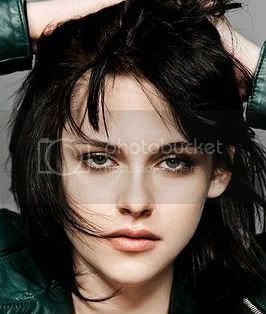 KStew rocks!!!!!!!!!!!!!!! And I think Remember Me will be good too. And I agree with you about Emilie. I saw that info on Twitter before from E!. I'm glad they managed to avoid the paps. Unfortunately, Rob didn't when he was in Katy Perry's car though. What's up with that? Trine-Hi!! Don't hang your head in shame. It's okay. Glad you are getting your shopping done. I'm almost done. I'll probably finish this weekend. Marielle-Rob is writing songs for Eclipse? I never heard that before. I hope it's true. I would love to hear a duet with him and KStew. She has a great voice. Since she's singing for The Runaways, that must say something. Love the old Robsten pic. They are so cute. Good luck with the snowboarding. Caryn-Yay! You're on vacation. We still have school next Monday and Tuesday. How dumb is that? Two days next week. A lot of kids will be gone on vacation already. And the kids that will be there, will be on a Christmas high. Kristiner-Hi!! 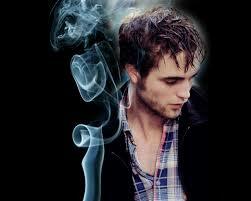 Love the Edward trading card. Jaclyn-That's great it snowed for you. I always love the first real snowfall. It's so pretty and preaceful. I'm bidding goodbye to this thread. I'll send a PM to a MOD to let them know we are approaching page 100. And it costs a bit over $200 for me to fly up to Auckland (which is near the top of the north Island), so I'm guessing it costs way more to fly to America Land. And the Rob and Katy Perry thing.. weren't they just out with a whole heap of friends? Cause they're both friends with the same person/people. Nothing wrong with that? WHEW! I got here before the HH #3 got locked away!! Hope, I'm so sorry for your loss *hugs! * Please know we're here when you're ready. I finally got to see The Runaways trailer -holy shiza, KStew so rocks!! Mandy - I totally forgot we had talked about going out to LA for Eclipse! If we can't get there in June, we need to definitely set the date when we get the BD - Part 1 release date. I'm off to bed-- have to get up early and pick up all sorts of treats for the parties tomorrow. Hope you all have a great rest of the night! Hopefully, I'll see you over in the HH #4!! Jade-You really make me laugh. Yes, I love that part too when she throws the chair. 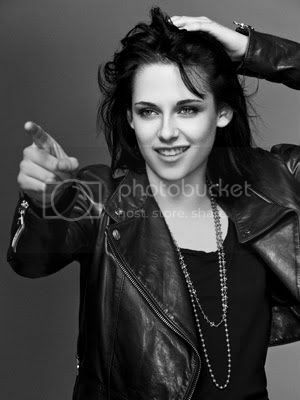 I keep thinking, KStew you rock, girl! Yes, you're right about Rob and Katy out with friends. Nothing wrong with that at all. I was just being childish. Okay, I don't want to go to bed until we hit page 100. So, I'm going to ramble about something. But, I got nothin. Good Lord... if you add our 4 threads to the 12 RP as EC threads, we are seriously taking up some serious cyberspace on our dear dear Rob! BeachDate~ Oh yayayay!!! So happy to see that our Rob and Kris had a quiet afternoon date, just living normally and away from the total nucking futs. Jade~yuP, they were at a friends bday party...the same bday party where like 120 other people were. No news there...they were at the same party last year...and the same rumors were started last year because of it. They are just looking to monger scandals and I bloody well hate that. Sandy~ Enjoy the last day. I will be here cleaning and cracking the whip to get my boys cleaning.. Ahh, the joys of Christmas parties. Edward_Addict wrote: OMG I just saw this today and it is hi.LAR.ious!! Go watch, immediately. Mandy, that was hilarious! I loves me some Peter. He is a little closer to my age, after all. I can't believe we're this close to the next thread. I'll be out of town this weekend celebrating Christmas with the in-laws. I love the in-laws, but I miss being able to check in with you guys and post. I'll be back Sunday and I'm sure we'll be on our next thread by then. Hope, I'm so very sorry for your loss. Know that you and your family are in our thoughts and prayers. As everyone else has mentioned, hopefully you'll find a little comfort and solace by coming back on the boards when you're up to it. Does anyone think it's strrange that we still don't have any official word about Breaking Dawn being made...unless a statement was released and I just missed it. New Moon was officially given the green light just one or two days after Twilight was released. One would think that since New Moon cleared 200 million in the first couple of weeks, the filming of Breaking Dawn would already be a given. Could cast or director salary negotiations or something with Stephanie Meyer be holding things up? Or do you think Summit is still not really sure Breaking Dawn can successfully be made into a movie. Heck...I'm not even sure that Breaking Dawn can be successfully made into a movie...or two.